If you received an unexpected £15,000, what would you do with it? Put off any decision-making until you feel less overwhelmed. Immediately put it into a savings account so it doesn’t get spent. Figure out ways to invest it and make the best return. Buy a whole new wardrobe, or put the money towards a new car. To have enough to buy anything and everything that you want. To make as much as possible, as quickly as possible, by investment. To save up as much as possible, and are always prepared for an unexpected financial situation. You love spending money on gifts and treats, and tend to spend more than you earn. You prefer not to spend where possible, and would rather keep money in a savings account. You're very laid-back - you don’t spend excessively, but if you want something, you'll probably buy it. You enjoy spending, but would rather invest money and make a good return. Where do you go for financial advice before making decisions with your money? You make careful, informed decisions based on data from as many resources as possible. You read opinions of top financial experts on a regular basis. You don’t really bother seeking advice; you just make decisions as they come. Tend to borrow quite a lot to make sure you can afford the things you want. Try not to borrow money unless you need it for an incredible investment opportunity to make a huge profit. Aren't really for or against it - it depends on the situation. Never borrow money, since you always have enough saved. What do you do when you really want to buy something outside of your budget? Buy it anyway, and borrow money later if necessary. You don’t really tend to have a budget, so would probably buy it, but who knows? You just take things as they come. If it's necessary then you'll get it, but if not then you'd rather keep it in case a good investment comes up. You don’t ever really consider things outside your budget. Do you worry about money often? Only when a financial crisis happens and the markets are down. Not really; things tend to just work out fine. Sometimes, but you usually just enjoy spending it. What are your saving habits like? You often dip into your savings to use money for making new investments. You don’t really put much money aside for savings. You have a savings account but don’t strictly treat it as such, dipping in and out whenever you need or want money. Everything you have goes into savings, and you only take money out when it’s absolutely necessary. Invest if you happen to come across a decent opportunity, but it’s not a huge priority of yours. Don't really see the point, and would rather have money now than later. Make good, profitable decisions, always ensuring a high return and you enjoy it. Have to make sure that you’re 100% sure about your decision, so you spend a huge amount of time checking whether it’s a good idea. You’re hard-working and your effort pays off, but you desire more than you have. Your decisions with money are generally quite impulsive, though not high risk. You find the complicated world of finances quite confusing, so haven’t yet taken the time to understand everything properly. This means you lack confidence in making any investments or big decisions when it comes to money. You are extremely savvy when it comes to making investments. You’re on top of things and you know which opportunities are the right ones. You’re trusting of other people’s recommendations and your investments are sound. You enjoy the process of investing and the benefits of your money decisions. When it comes to making investments, you are very careful. You’re wary of taking risks with your money, so any investments you do make are very safe and secure. You like to take everything into consideration fully before making any financial decisions, and you manage to find fault in most investment opportunities. This is down to a lack of self-esteem when it comes to investing – you’re scared of making a mistake and taking a risk that could put you in financial jeopardy. You end up missing out on good opportunities for financial growth because of your wariness! You’re a hard worker and expect that your efforts will pay off in the long-run. However, you lack confidence when it comes to making the best financial decisions. You’re all for staying in full control of your finances, but your purchase decisions are made with your heart rather than your head. You underestimate your ability and attribute your success to “luck”. Are you clever, careful, confused or just chaotic when it comes to your finances? 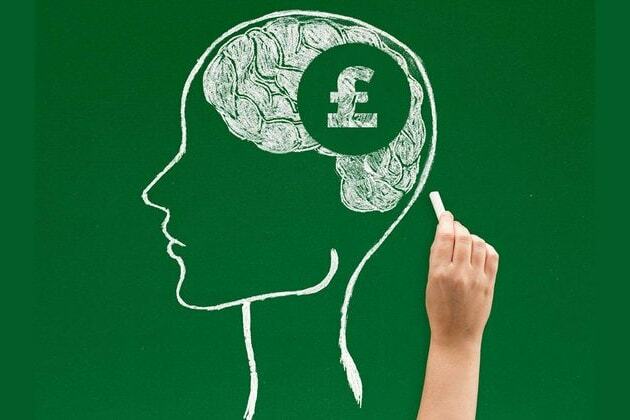 Find out which, and how to get better at money management, with our Money Personality Quiz!